The Achtis Hotel, located on Afitos sandy beach in Kassandra by the Toroneos Bay is a luxury, family-friendly 4-star hotel that provides excellent service and a comfortable stay to guests seeking superior beach holidays in Halkidiki. Its exquisitely maintained grounds, blossomed garden and artificial pond with fish and turtles accentuate the impressive surrounding. The stylish, feature-packed guestrooms are a delight for all types of visitors – single, couple or family. Admire magical sunsets from its terrace, which also offers excellent vistas of the Toroneos Gulf, making the hotel an ideal destination for a serene and relaxing holiday. The hotel is conveniently located within close proximity to the beach and local shops, restaurants and bars. Soak up the sun at the beach or beside the hotel's expansive pool, get involved in adventurous watersports on Afitos beach or indulge in the delicious cuisine served by the on-site restaurant – Achtis Hotel is sure to make your Halkidiki holidays memorable. The Achtis Hotel is barely a 5-minute walk (700m) away from the Afitos beach. Cafes, taverns and beach bars are within a short distance from Kassandra. The hotel is 61km away from Thessaloniki airport and 90km from Macedonia airport. 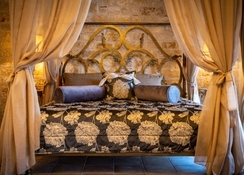 The air-conditioned, well-appointed rooms and suites in Achtis Hotel boast elegant decor and contemporary furnishings. They come equipped with a refrigerator, satellite TV, safe and free internet access. There are en-suite baths with a shower. There is a furnished balcony in each room where you can enjoy scenic vistas of the garden and pool or even the Toroneos Bay, depending on the room’s location. The hotel’s main a la carte restaurant features a wood and stone décor. It's open to guests from 8am and serves authentic Greek cuisine and light bites. Guests can sip on their favourite cocktails while watching a movie or TV show on the big screen TV at the hotel-bar. The pool bar serves alcoholic and non-alcoholic drinks. The hotel also hosts theme nights like Greek nights or barbecue nights. 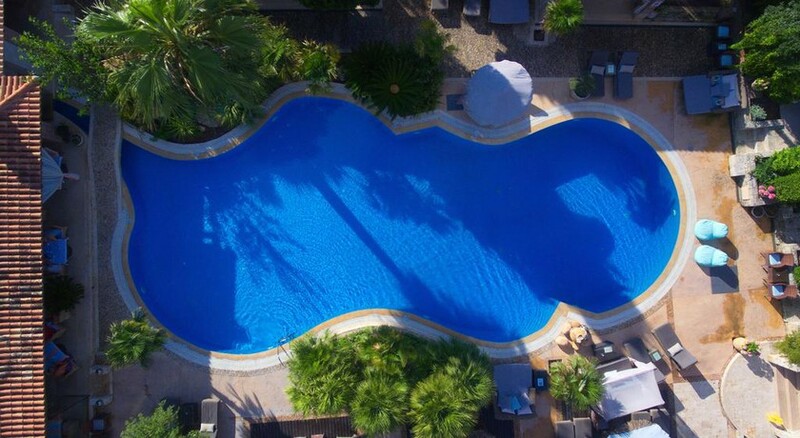 The Achtis Hotel has a large swimming pool and terrace with sun beds and umbrellas. There is an air-conditioned gym fully equipped with latest exercising devices. Car and motorbike rentals can be booked at the reception. The hotel organises theme nights from time to time, too. There is a TV lounge should you wish to catch up the latest TV soap or movie. Guests can collect their keys from reception.